You can change form of sound wave, volume and frequency. Two ADSR Envelope modules and LFO allows adding and adjusting special dub step effects. There are several patterns adjusted for your pleasure so as to set all the tunable parameters automatically. 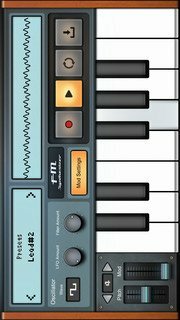 With FM Synthesizer you can create and tune many different melodies â€“ from classic piano music to popular dubstep! Have fun!